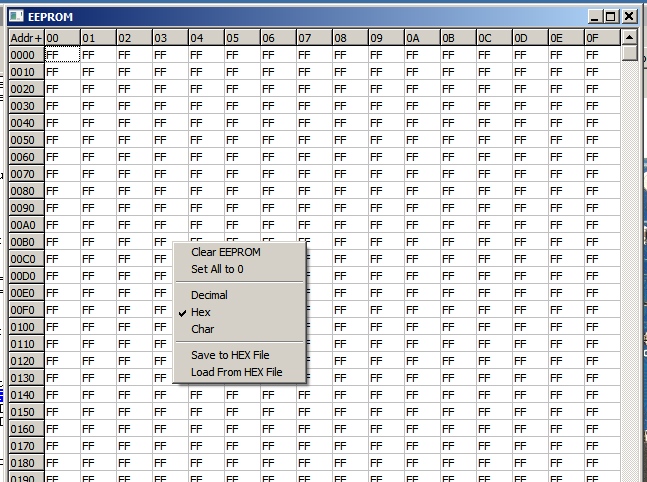 The EEPROM window allows for viewing and modifying of the EEPROM memory. Copyright © 2014-2020 Virtronics. All Rights Reserved.